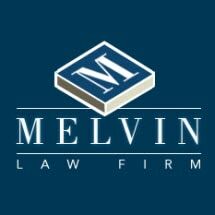 Mr. Melvin began his legal career in 1992 after earning his law degree from University of North Carolina School of Law and his admission to the North Carolina State Bar. In addition to his approval to practice law in all of North Carolina's state courts, the U.S. District Court for the Eastern District of North Carolina has also issued its approval for him to practice in its courtrooms, ensuring he can represent clients at both state and federal levels. If you or someone you love suffered unnecessarily due to medical negligence, look no further than The Melvin Law Firm for representation upon which you can depend. To learn more about how we can help you, you can schedule a free initial consultation at our law office in Greenville.